Hi friends. We at The Independent Distillery are currently expanding and are looking to add one or two an experienced distillerymen/distillery-woman to help us take it to the next level. We are currently in production of four spirits. 3 Gins & 1 Vodka. Our products have continued to gain a solid reputation and as we arerapidly growing with new distribution contract into 3 additional key states. We hope to fill this Key position asap. if interested please don't hesitate to reach out. *(must have a solid understanding of back office, fed & state compliance, inventory and production management and a desire to grown and be creative! )* kindly send questions resume to. ( it will get to me faster) dnorth71@hotmail.com thanks, D. Northrup founder/CEO & lead janator The Independent Distillery llc. Thank you for reading! A couple of guys in the wine and spirits industry starting to put the nuts and bolts of a NH distillery together. 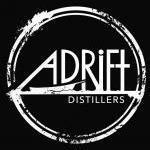 Looking for distillers/people who know how to distill whiskey, vodka, etc local to NH. Someone who may want to have a conversation or two and see if there is a mutual industry. We possess the skills to move the product, just not the skills to produce it. Thanks for reading! 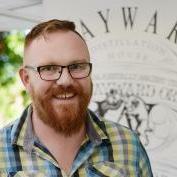 We are looking for someone with experience to open a distillery in the Deep South. We are looking for someone who can run the day to day operation and help with recipes. Please leave contact information if you are interested. We will be producing Rye Whiskey, Gin, and Vodka. Please inquire here with any questions you may have. We would be willing to help relocate candidate and provide an competitive salary. Hello all, I was hoping to get some guidance on the resting period for white spirits. Is it common to allow a period of rest in steel or plastic after distillation but before filtering/proofing for GNS/Vodka? As for gin, I've read that a couple weeks of rest can benefit the final product prior to bottling. Again, are their two resting periods for gin (after distillation, after proofing)? Thanks for the help! 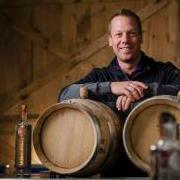 Seeking a Head Distiller for New Spirits Company in New York State Adirondacks. JOB DETAILS This is a multi million dollar buildout so overachievers beware. New distillery seeking a head distiller to be responsible for the full distilling and quality control process. Should be well versed in new product development, scheduling distilling and fermentation, aging and packaging operations. Open to both seasoned professional and someone ready to take the next step up. This is an opportunity to help create the finest of world class spirits in a unique experience in a naturally beautiful destination being built in upstate New York. Job responsibilities include: Milling, Mashing, Distilling, Tasting, Proofing, Bottling, Blending Day-to-Day operation and management of distillery and its employees Management of raw ingredient inventories, ordering, and quality Record keeping Barreling and barrel aging management Packaging Quality control Creation of new products Equipment and systems maintenance Requirements: • Entrepreneurial spirit. • B.A. degree, preferably in chemistry or a related field. • Brewing and distilling MSc Certificate. • 5-15 years experience. • Experience in creating various spirits, including: bourbon, vodka, gin, and tequila. • Strong relationship management skills. • Business-minded, with strong financial and analytical skills. We are looking to hire someone in advance to be part of the design - particlarly the work flow, development, and coordination of all pre-opening activities. While the current ownership is solidified, a small partnership role may be considered with the right candidate. The site plan is approved and the initial design from a world renowned architecture firm is underway. Trident Still for Sale $18,000 100 gallon Trident Pot still for sale. Used for neutral spirit or whiskey depending upon setup. 2 meter column with structured stainless steel and copper packing. Primary and secondary condensers with automatic cooling. Includes heads and main product collection tank with vacuum pump for vacuum distillation. Pressure gauge and relief valves on pot. Currently uses three 5.5kw electric heating elements but can swap them out for steam coil or direct steam injection using tri-clamp fittings. Located in Westchester County NY.